One gift. 1.4 million ways to thank you. By leveraging partnerships that boost innovation, we achieve our mission of expanding access to excellence. The Foundation works to enhance the quality of, and spur creation of, successful programs by engaging SUNY schools, educators, and students. Grants are primarily awarded for innovative projects focused on increasing student retention, persistence, and wellbeing. 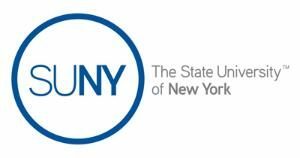 The Foundation seeks strategic partnerships with state, national, and international organizations that have the potential to broaden SUNY's reach and impact. The Foundation supports a variety of scholarships and fellowships that enable access to high-quality, affordable higher education and clear pathways to degree completion and career success. I am disgusted by the discovery of neo-Nazi fliers at SUNY Purchase today, and I have directed the State Police Hate Crimes Unit to assist in the investigation. Those behind this noxious act should know that these fliers only harden our resolve to combat hate in all its forms.